Innervision Design offers a variety of hydrology reports to our clients in order to satisfy the Local Planning Authorities, the Environment Agency, or to meet BREEAM requirements. 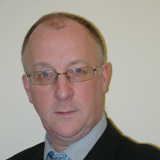 Our lead consultant, Dr Robin Saunders, is a member of the British Hydrological Society. He developed Flood Risk Probability software for use within the industry and academia. He holds a Doctorate and a First class BEng with Honours degree in Civil Engineering from the University of Southampton. We have undertaken SuDS design for many projects, which range from single dwellings to large residential and commercial developments with more than 300 units. We have successfully helped our clients to obtain planning permissions by addressing issues from the Environment Agency and Local Planning Authorities in a robust and methodological manner. We are very responsive and fast in providing quotes and answering enquires. Please get in touch for a no-obligation fee quotation, or for a discussion about your project. Soakaway Design. Some small developments only require installation of soakways. We can design these for a very competitive price. We may require percolation test results subject to these being in accordance with BRE365 methodology. If you wish to carry out percolation test on your own, we can provide detailed guidance on how this should be undertaken. Which development needs a SuDS strategy? however we have recently seen an increasing number of small developments requiring SuDS reports even though they are not located in areas with flooding or drainage issues. This is particularly the case for small sites with an increase in impermeable areas. Some local planning authorities are even demanding SuDS reports for extensions because of the so-called “Urban Creep” effect. All new developments of more than one dwelling or where the construction area is 100m2 or more in Wales. A professional SuDS report does not need to be expensive. We endeavour to be competitive. Our prices start from £350 for a soakaway design and from £650 for other full SuDS reports depending on complexity of the project. In order for us to provide you with an accurate quote, please email us the site location of your project with full postal code, site plans and any drainage information if they are available. Our initial phone consultations are always free, please call 01279 862447 for a friendly discussion.